Can we, should we do more for firefighters? The morning’s breakfast trade at the Waffle Iron Restaurant had slowed, and the waitress politely answered the stranger’s question as she refilled his coffee cup. 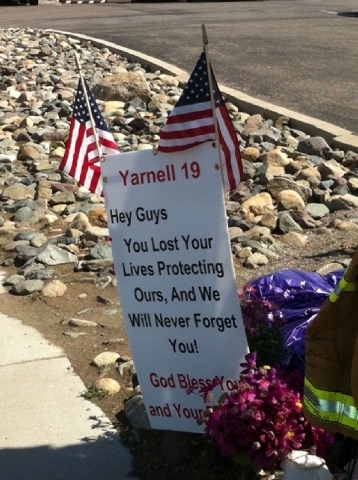 The story of the 19 members of the elite Granite Mountain Hotshots who died June 30 while fighting a fire at Yarnell Hill wasn’t far from her mind anyway. How could it be? The enormity of the loss to this close-knit community is hard for anyone to fathom. They were the pride of Prescott, she says, a real good bunch of young men who often came into the café for breakfast. With the funeral for the last firefighter just completed out in California, she said many Prescott residents were trying to catch their breath and move forward. She attempted to appear optimistic, but she didn’t sound confident. At the next table, a local sipped his coffee and read an Arizona Republic story about the 19 and how the incident command had been forced to juggle personnel and equipment at the time of the tragedy. At another table, a regular wore a blue T-shirt commemorating the recent loss. At the cash register, a small jar was open to accept donations for the firefighters’ families. 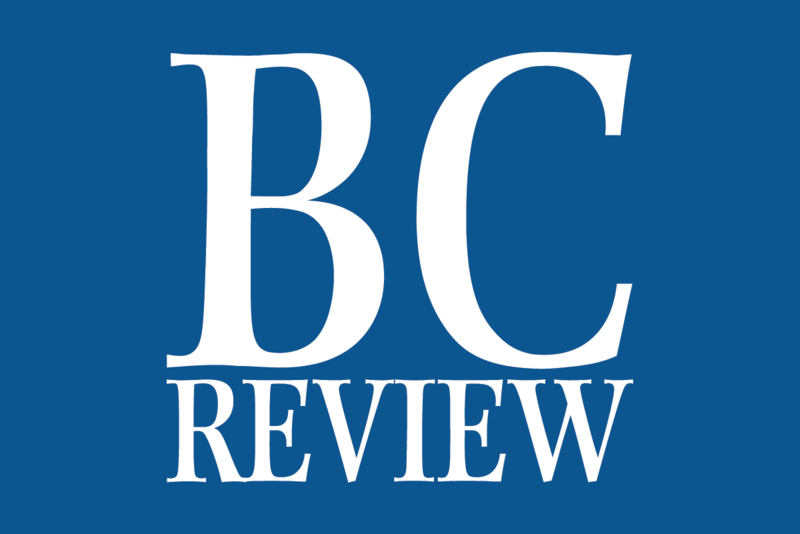 In the Daily Courier, Prescott’s newspaper, letter writers Donna and Rob Hallowell of Wisconsin captured a prevailing sentiment about the community and its fallen heroes. Their son, Nate Hallowell, moved to Prescott in 2008 to become a wildland firefighter and was friends with Eric Marsh, one of the 19. In Phoenix, Arizona Gov. Jan Brewer last week signed a bill allowing a memorial to fallen firefighters and emergency first-responders to be erected near the state capitol. A simpler sign in Prescott already honors the Granite Mountain Hotshots, and the fence surrounding their headquarters on Sixth Street is covered with an incredibly moving tribute to the 19 featuring everything from T-shirts and helmets to teddy bears and shovels. The stunned Prescott residents grieve even as the living move through their morning routines. Nevadans may think they have little in common with them. But as the smoke clears from the Carpenter 1 Fire in Southern Nevada and the Bison and Elko fires in the northern end of the state, it becomes ever more evident that the West is one big wildfire zone with more than timber and property at stake. It’s incumbent upon us not only to remember those brave strangers who lost their lives, but also to keep in mind that this summer we have had more than 1,000 firefighters in our mountains working long hours to preserve our forests and private property. They choose to work in a dangerous profession, but it is our government’s policies that send them into the field. I don’t doubt their training, but I have often wondered whether they weren’t fighting fire with tools and technology better suited for a previous era. In a nation that finds its vast land and air military forces training for battles of another kind, there must be a way to combine all that personnel and equipment to fight the West’s greatest fires. Our firefighters don’t need another memorial.